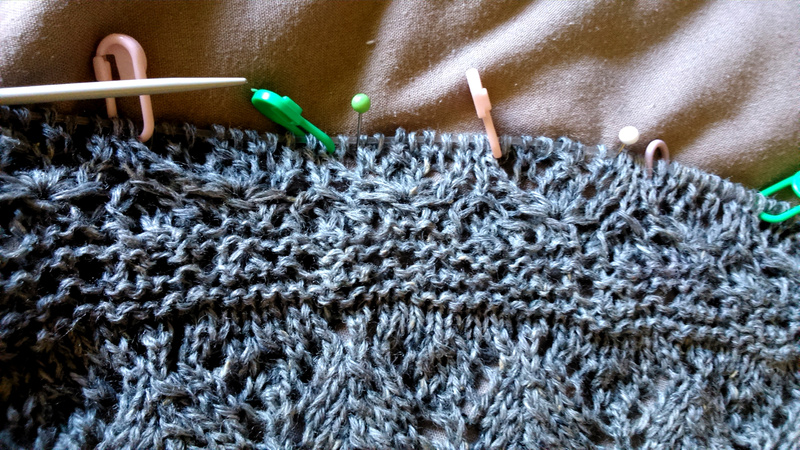 Still plodding along on the Duotone Cowl… It seems like I switched from the first half pattern to the second half pattern too soon. 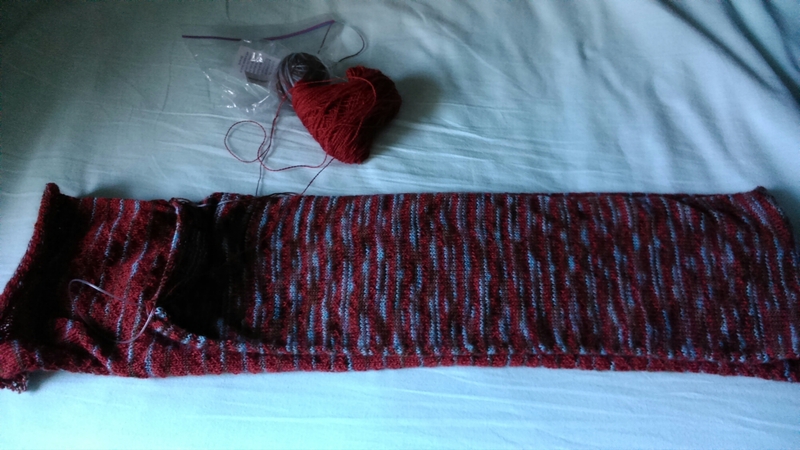 I’ve still got quite a lot of yarn left and I’ve nearly matched the length of the first half. 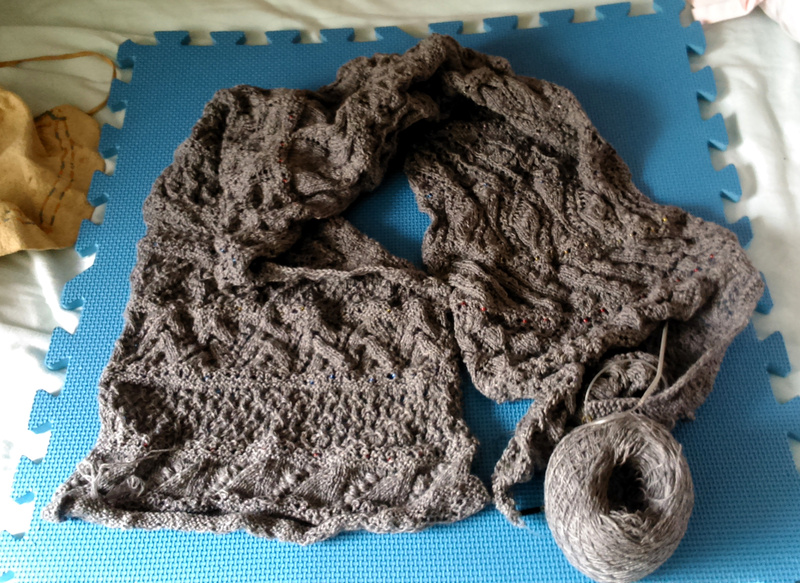 I’ll see how long the cowl is at the point where the halves match. 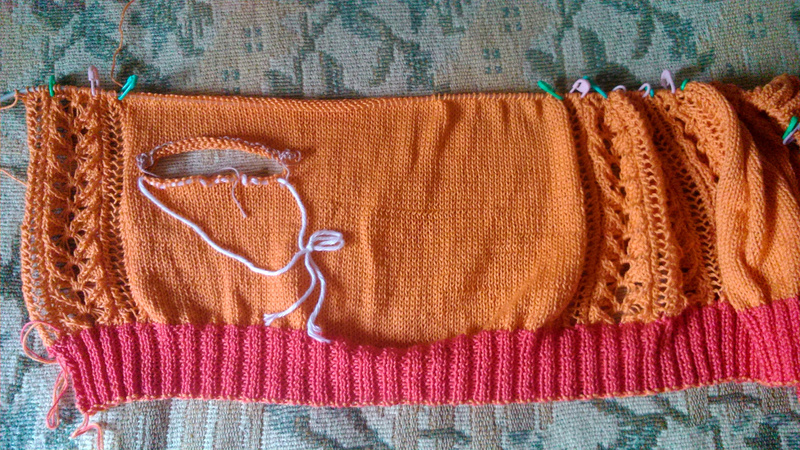 If it’s the right length, I’ll finish it. 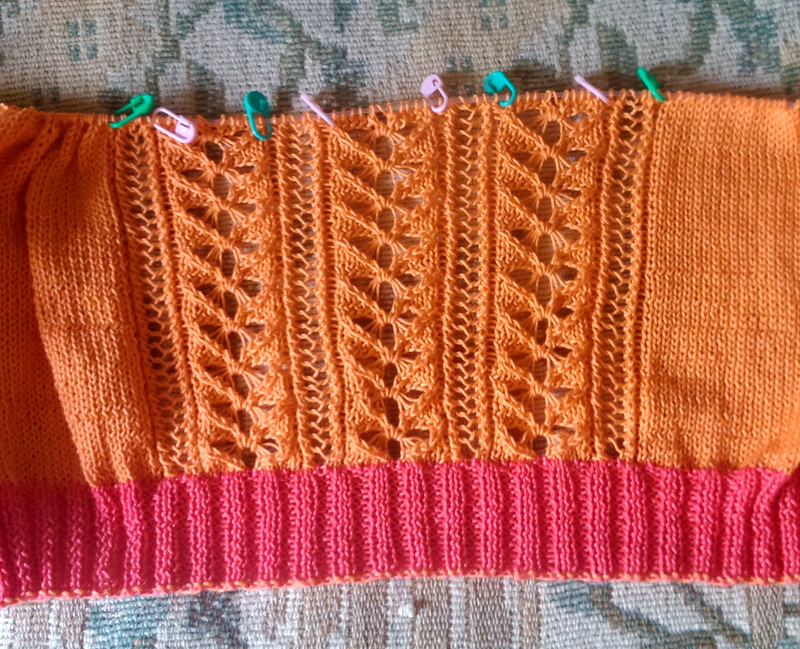 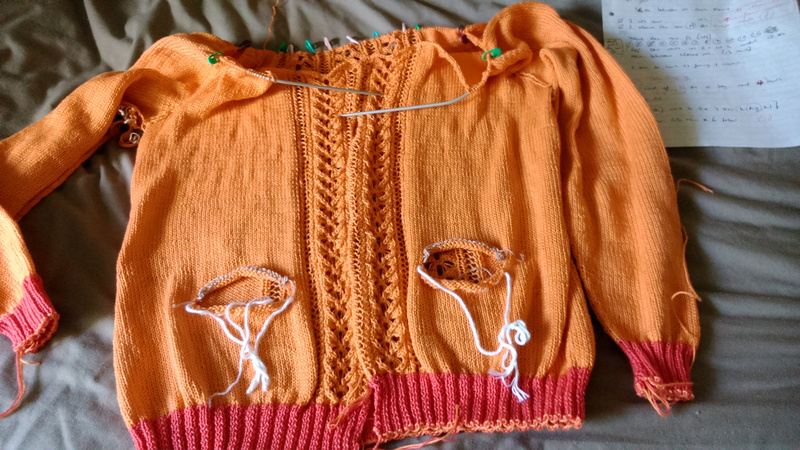 If not, I’ll carry on with the second half patterning until I’ve nearly run out of yarn, then switch to the first half pattern again. 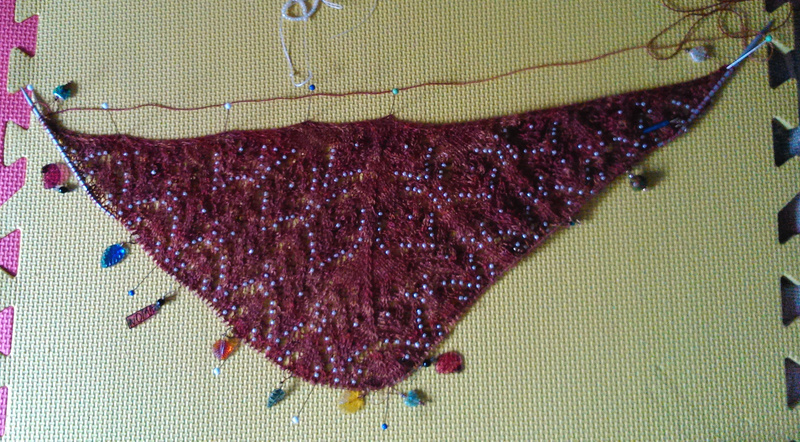 My UFO for this week (the Shetland Stole) takes a fair amount of concentration, so I’ve only been working on it for an hour or so a day. 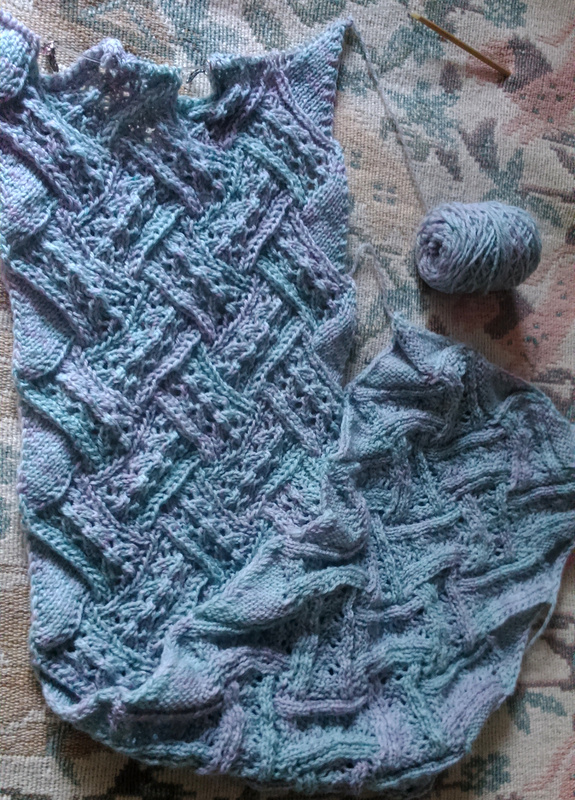 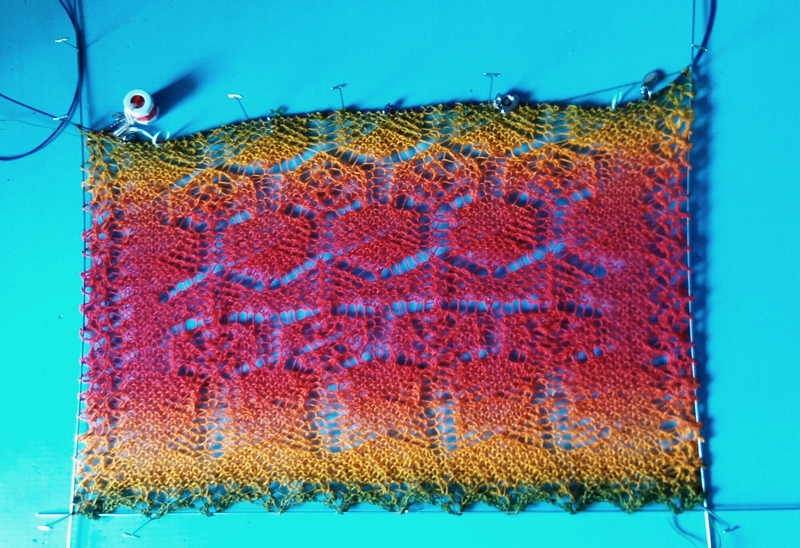 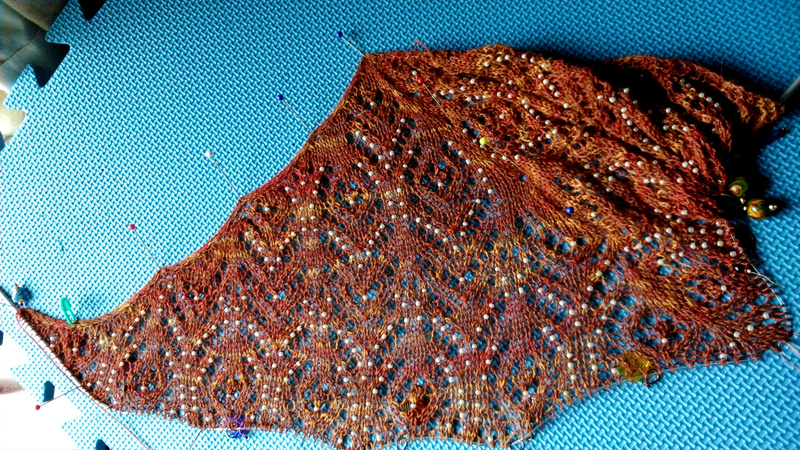 The good thing about a colour change yarn is you really can see any progress that’s been made! 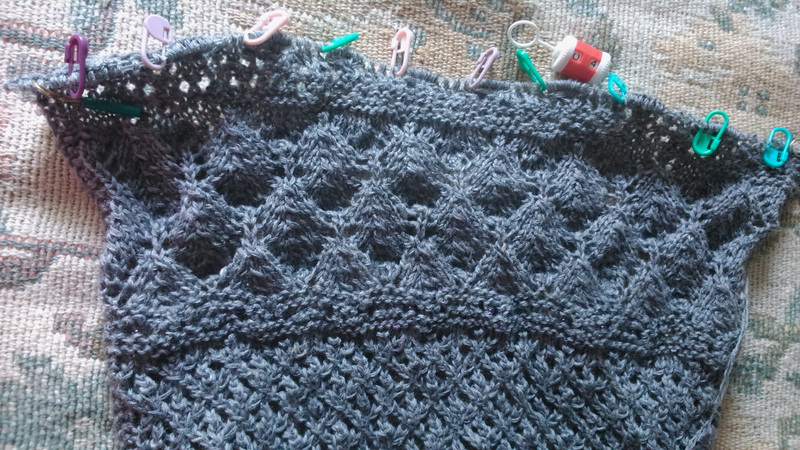 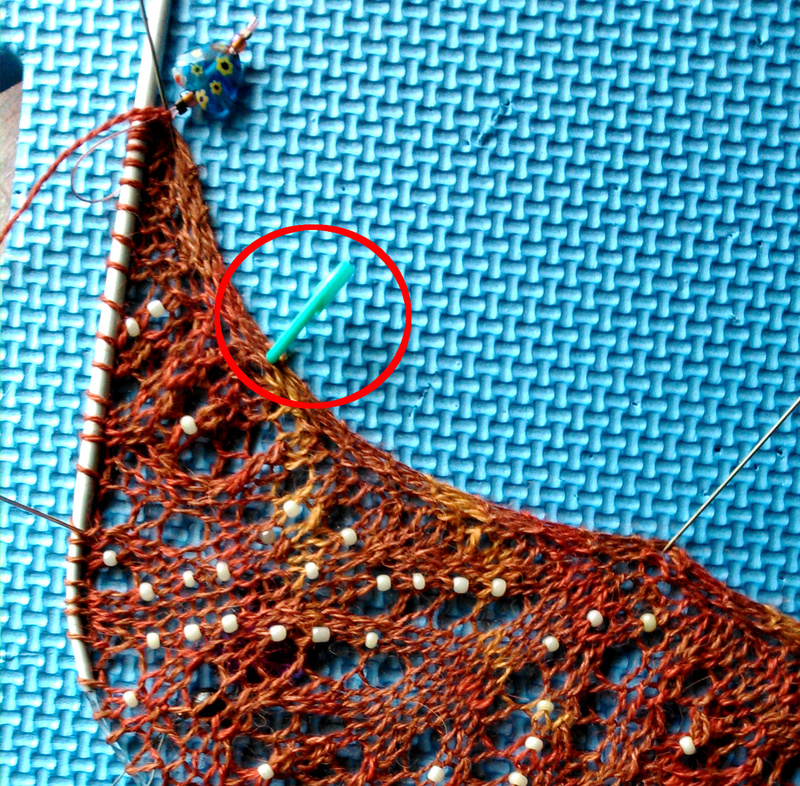 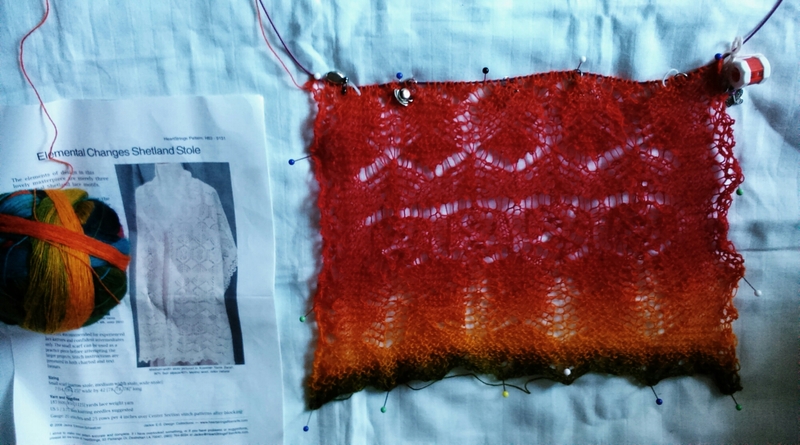 I’m going to keep going on this for at least another week, since I’ve now got back into the rhythm of the pattern.